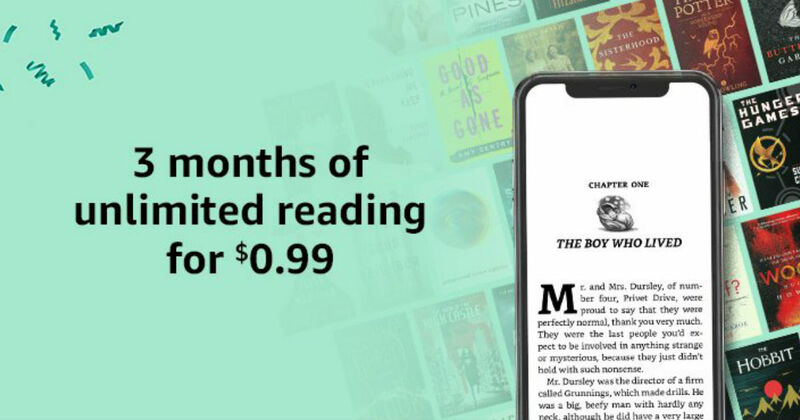 Score 97% off unlimited digital books, magazines, and audiobooks. This is a GREAT Bargain! You can score 3 months of Kindle Unlimited for ONLY $0.99! That's 97% off the regular price of $29.97 for 3 months and is for New Kinlde Unlimited subscribers. You can cancel at any time so there really is NO risk and a small price to pay for all of the benefits you'll receive! This offer ends Februrary 28, 2019. Do you Prefer just sticking to a Free Trial? You can score 30 days Free of Kindle Unlimited! Kindle Unlimited is a new service that allows you to read as much as you want, with over 1 million titles and thousands of audiobooks. Perfect for enjoying your favorite book or magazine this winter. Despite the name, you do NOT need a Kindle to enjoy Kindle Unlimited. You can read or listen to your favorite books on any device, phone or computer. Best part is your not limited in the amount of digital and audio books and magazines. This trial comes in handy when sitting in waiting rooms, sitting int he school car lanes, etc. After the 30 days you will be charged $9.99. However, you can cancel anytime, making this truly risk-free.